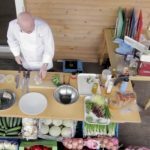 Brakes Scotland and Fresh Direct have produced a special video featuring CIS Excellence Awards Advisory Board member and current Masterchef: The Professionals champion, Gary Maclean. Taking a tour of the company’s Inchinnan headquarters, near Glasgow, Fresh Direct managing director James Mackie showcases Gary the freshest produce and the fertile farmland which sits alongside the warehouse. Deeper into the farm, Gary discovers and picks a patch of wild oyster mushrooms growing in the woods. ‘Some mushrooms have different textures and oyster [mushrooms] need a lot of heat; they use them a lot in Asian cuisine,’ adds Gary. 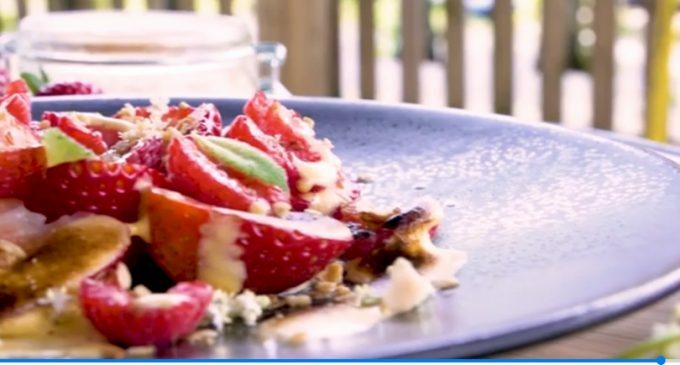 Emphasising the importance of local sourcing and demand for provenance from chefs throughout the country, James then invites Gary to conduct a cookery demonstration. Preparing Rannoch Smoked Chicken Salad using Supernature Scottish rapeseed oil the asparagus tips just picked in the Fresh Direct fields, Gary then proceeds to rustle up a stunning bowl of Scottish berries with honey-oat granola and a whisky custard (pictured above). ‘Chefs want to hear about the journey the ingredients has made to get here and they want to feel part of that and speak to the experts – i.e. us,’ concludes James.